WITH YOUR GOOD CREDIT 1000.00 DOWN 124.00. PER MONTH!!! O.A.C. 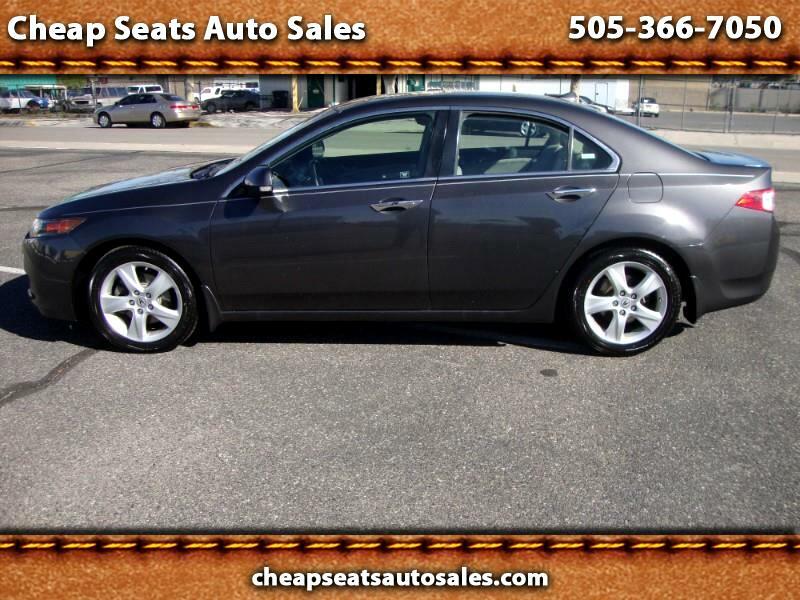 MEW MEXICO CUSTOMERS ONLY,THIS CHARCOAL GRAY WITH LIGHT GRAY INTERIOR ACURA TSX IS IN GREAT SHAPE INSIDE AND OUT, 113000 MILES, JUST SERVICED, ALL POWER EQUIPMENT INCLUDING POWER SUNROOF AND UPGRADE SOUND, BUY WITH CONFIDENCE, LIC AND BONDED DEALER, CALL SCOTT AT 505-366-7050 WITH ANY QUESTIONS, WON'T LAST AT THIS PRICE, PRICE OR PMTS. PLUS TAX, TITLE, AND 249.50 DEALER PROCESSING.